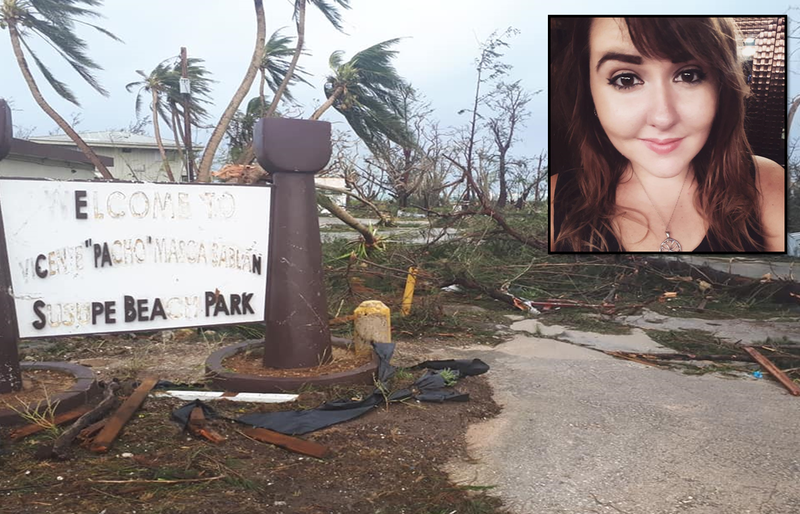 SAIPAN -- Super Typhoon Yutu has destroyed much of Saipan in the northern Mariana Islands and a teacher from Dubois County spoke to WITZ Radio News Friday morning about her experience. Jessica Williams teaches at the Saipan Community School. Siapan is one of the areas hardest hit by the super typhoon, with winds topping out at 180 mph. "We had some time to prepare for this one, but we had no idea how how bad it would actually be," says Williams, who rode out the storm on the second floor of her building on the campus of the school where she teaches. "We got lots of water, we got some fuel for our generator. We had to board up the windows and locked down the school"
Williams tells me she’s ok, but her home did sustain damage. Much of the school campus, however, was destroyed. "There are people who work with us who lost their home. About 10,000 people are homeless and it could be months before water and power are restored. A Go Fund Me page has been set up to help rebuild the community school where Williams works. She says while she has what she needs, she is worried for the thousands of others who lost everything in the super typhoon. A Go Fund Me page has been set up to help rebuild the Saipan Community School... CLICK BELOW to help.